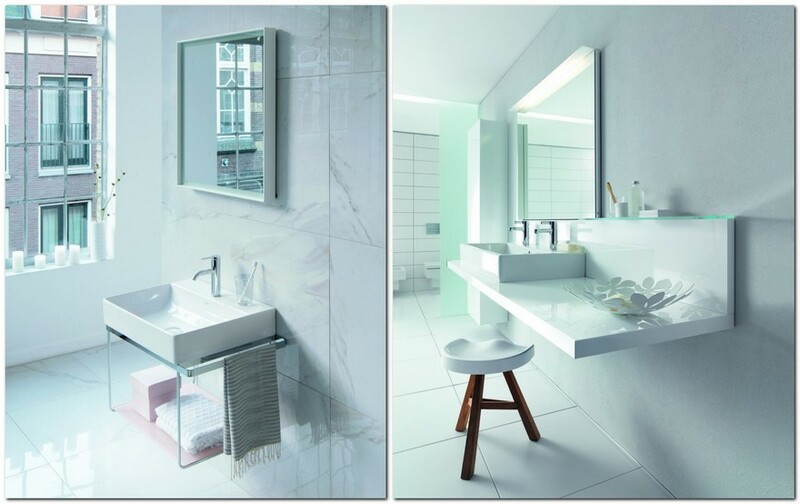 This month was rich in novelties for bathroom interiors, and we have decided to show you the most interesting objects of famous brands: designer sanitary ware, smart mirrors, a washing machine that can be controlled from a mobile app, and even a secret vanity unit. So, let’s go! A bathroom may be full of breathtaking decorative elements, but they would all remain overshadowed in case your lighting system is not well-thought-out. 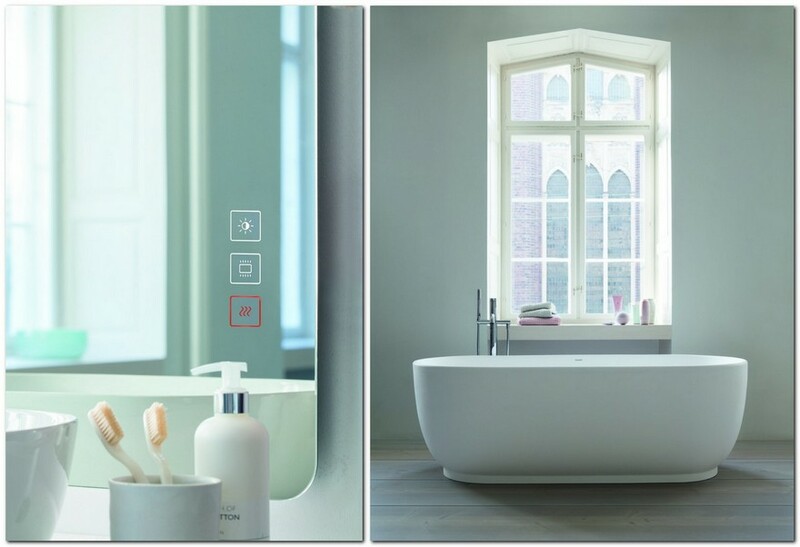 Villeroy & Boch offers a solution to this issue with its new models of mirrors dubbed “Finion”, “My View” and “More to See”. They offer a bunch of smart functions – anti-steam, diffused lighting or different light temperatures varying from warm to cold, which means that their users would have several full-fledged lighting scenarios to accentuate all the details of their stylish contemporary bathrooms. To crown it all, there are models with powerful integrated sound systems offering playlists for any mood and occasion. 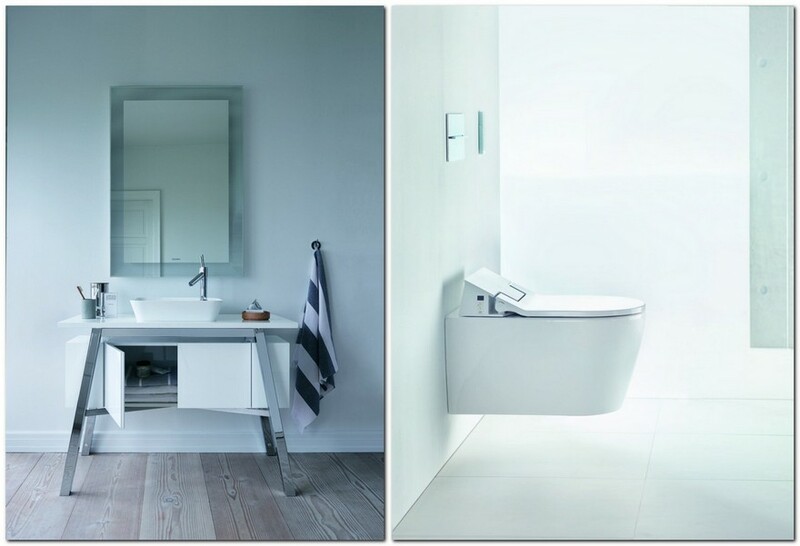 Judging by the latest collection of Duravit, designers of this brand believe that contemporary bathroom concept implies structure and precision, hygiene and cleanliness, harmony and style. There should be no unnecessary details and accents, and hence white color appears to be a just perfect option. Besides, it makes rooms lighter and visually bigger. So, this March we see total white interiors equipped with matte DuraSolid bathtubs, DuraCeram sanitary ware and pure white vanity units. 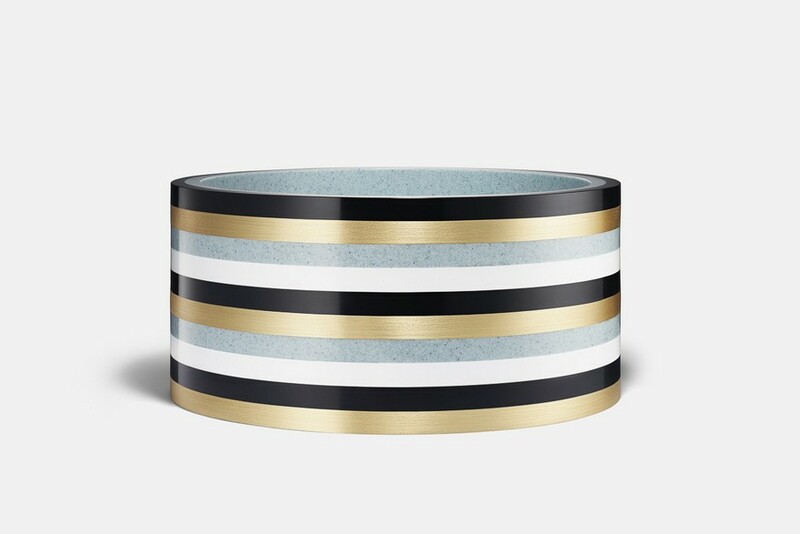 Accessories do not catch the eye – they just bring a finishing touch to the general mood. 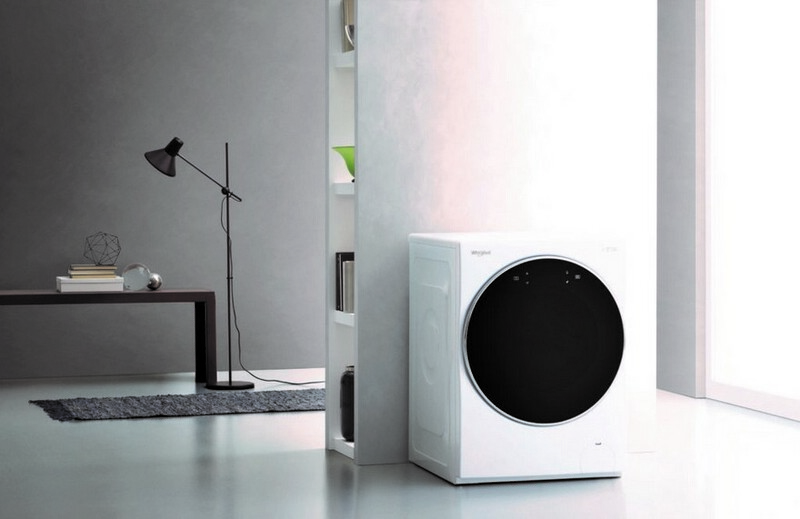 Recently a super silent Whirlpool washing machine from the W Collection has won a prestigious If Award for its outstanding design. But the most important technical feature of the gadget is that it can be controlled from anywhere with an app for smartphones and tablets. You may even start a washing cycle from the other side of the world: all you need is access to the Internet. 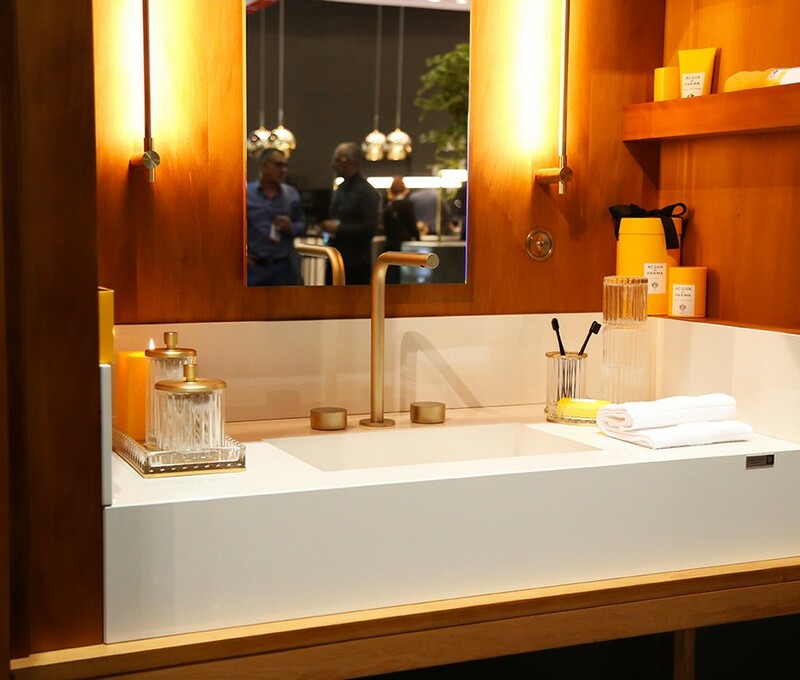 In January the KBIS (Kitchen and Bath Industry Show) Exhibition in Florida was marked by presentation of an outstanding piece of bathroom furniture dubbed “DeKauri” by Daniel Germani, an architect from the USA. 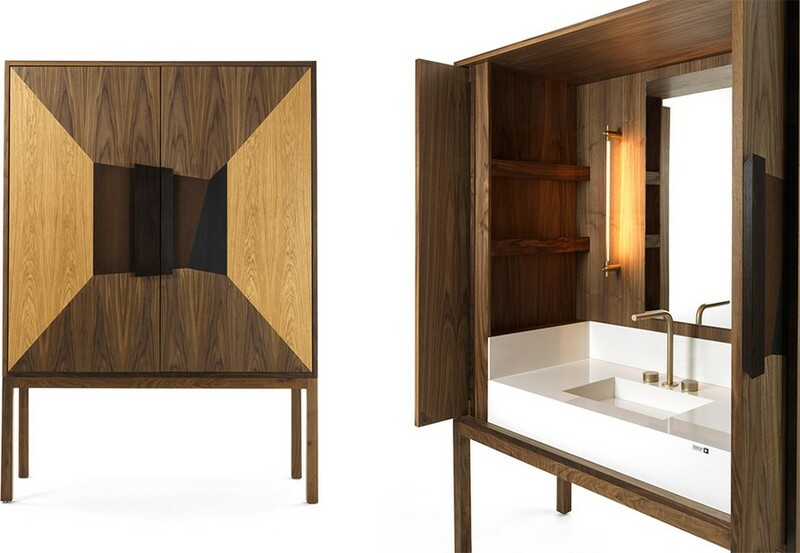 This designer piece conceals a sink and a storage area behind stunning wooden doors, which makes it perfect for any room in the house besides a bathroom. Key elements of DeKauri are an ultra compact Dekton surface by Cosentino and ancient fossil Kauri wood brought from New Zealand and processed by the Riva 1920 Company. By the way, this project will be displayed at Salone del Mobile 2018 this April in Milano. The Candy Shells collection of designer sanitary porcelain is made in artificial stone and metal using the technique of marquetry. 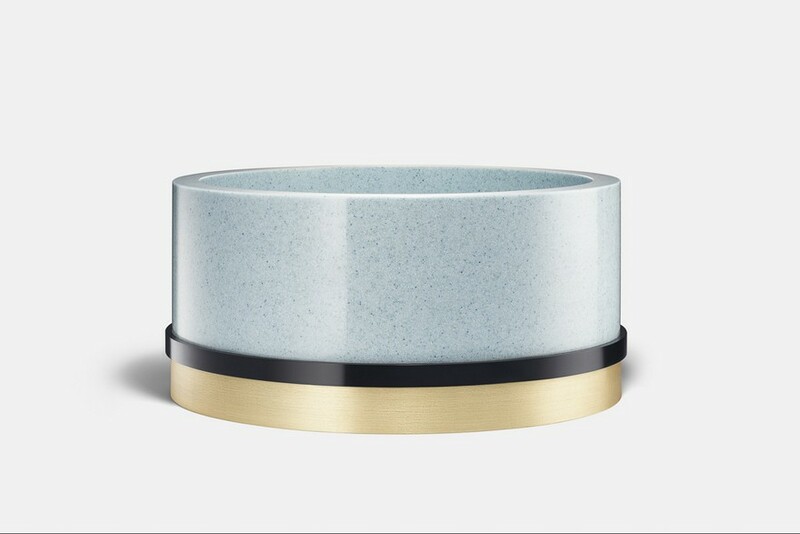 The author of these unique handmade sinks is Eva Bergman. The collection includes 6 types of stones and 3 types of metals (brass, chrome and copper) in different combinations. 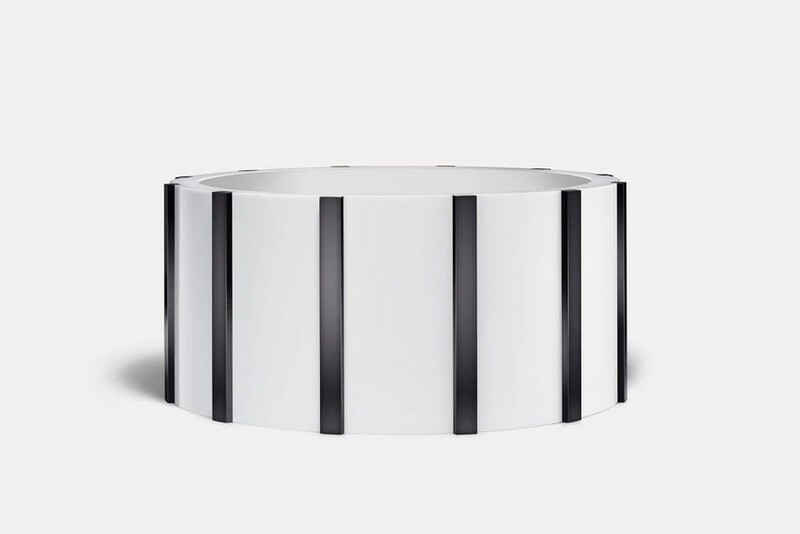 Besides, the company is ready to create customized, one-of-a-kind products for any interior design project.